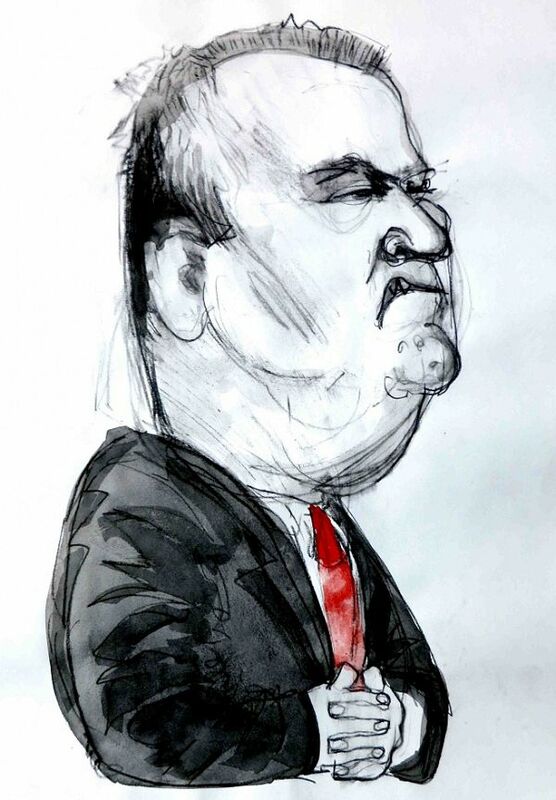 Joe Hockey is a small man, inflated by hubris, with little understanding or interest in economics. Dr Evan Jones asks who will prick this bubble in the public interest. It could not be said that Hockey lacks conviction; but he is not convincing — save to journalists, who are wont to treat him seriously. ideals that the new Treasurer serves, her words he evokes. ideological, political and policy pendulum. ‘... shrink the sphere of government and enlarge the scope for markets'. expect from Hockey in office. Hockey’s career trajectory has produced no appealing landmarks. predominantly a man of bluster. But are appearances deceptive? (Financial Services) as early as 1998. Really? Is this the soon-to-be most human Federal treasurer in Australian history? 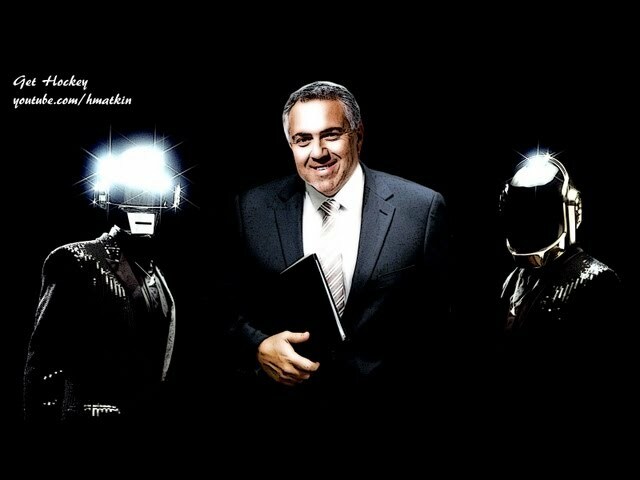 There is clearly more than one Joe Hockey. Hartcher’s ‘Protestant ethic of work, thrift and self reliance’ in a sector ground down by corporate predation. claimed the need for a ‘social compact’ for Australian banks, contrasting their pursuit of self-interest while being underwritten by the taxpayer. Myriad bank victims hoped they might at last have found a champion in the corridors of power. the need for regulatory attention. The potential champion of bank casualties had disappeared from view and has not re-emerged. In early February this year, Hockey rebuffed Barnaby Joyce’s call for government involvement in mediating with banks regarding the restructuring of debt of drought-affected farmers. "They should speak to the people that they owe the money to as a starting point." window into the man’s character. "It is also the case that we need, wherever we can, to get rid of unnecessary regulation. I know my colleague Arthur Sinodinos is having an almighty brawl in relation to FOFA. get ahead and build enterprise." This, in spite of the fact Hockey’s own mother-in-law has been a victim of corrupt activity by the Commonwealth Bank subsidiary Commonwealth Financial Planning. Hockey’s interviewing persona is telling. air. Give me an audience worthy of my sagacity, he implies. So here is Hockey about to present his first Budget. The line has been "no gain without pain". "We all have to do the heavy lifting", he declares. priorities are to further disadvantage the already disadvantaged. platform of universal sacrifice, obliqueness on the essentials is de rigueur. Learning how to read between the lines is a necessity. Hockey only has to look to the end of his nose to find billions to plug ‘Labor’s’ deficit hole. As the SMH’s Peter Martin highlights regarding the Commission of Audit's deliberations, tax expenditures are missing from the deficit reduction recommendations. Treasury’s tax expenditure statement (p11) provides ready directions. But corporate tax evasion is the elephant in the room. companies, but with home grown Rupert Murdoch as past master. Hockey should never have given the Reserve Bank close to $9 billion in October 2013. Abbott’s inegalitarian Paid Parental Leave scheme should be jettisoned. But Abbott’s fly-by-night jump into the F35 quagmire, throwing the national patrimony at a gold-plated lemon, exposes the essential jiggery-pokery of the entire deficit reduction propaganda. budgetary appropriations to meet a pre-determined bottom line. looking for simple indicators of a budget’s meaning. Get the budget bottom line right and the rest will look after itself. Clear away the impediments, embodied in the obscurantist catch cry ‘structural reform’, and it will be all systems go for the future. 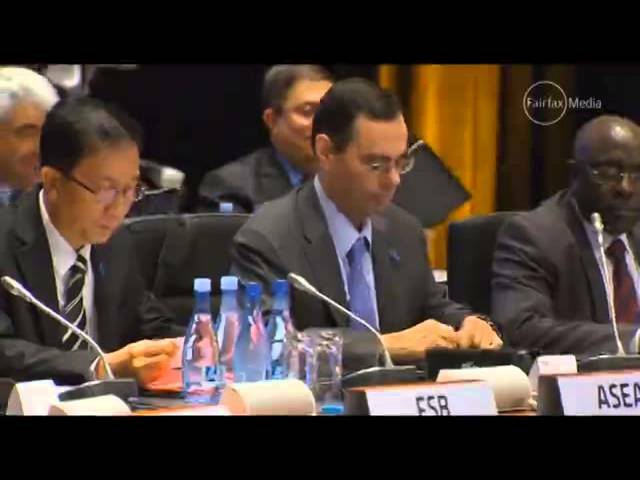 tape, taxation and centralised control." "I have a unique goal to try to drive the world to greater growth and prosperity." But Hockey does not know how jobs are created. Nor do other Finance Ministers or central bankers. G20 meetings generate hot air rather than jobs, but Hockey has picked up the patois like a natural. develop. They know their statistics, but are weak on their meaning. Their knowledge of history is feeble. ignorance is thus afforded bureaucratic complicity. Hockey talks about spending on infrastructure — a rare idea of substance. considerable — a point hammered for years by economist John Quiggin. But what will the loot be spent on? privately-provided public infrastructure is now a pipedream. Dig it up, ship it out. of technical development spinoffs. The costs have been documented by the partisan Productivity Commission but the benefits have been ignored. Hockey et al in spite of its substantial media exposure. But what about the innate generative capacity of an economy experiencing sectoral catharsis? Still, it's one thing to allow the collapse of a failed industry. at a moment when the mining boom is fading and the economy softening. Note Hockey’s royal plural. Hartcher’s history is also glib. growth, but marred by a 1961 recession induced by Treasury stupidity. 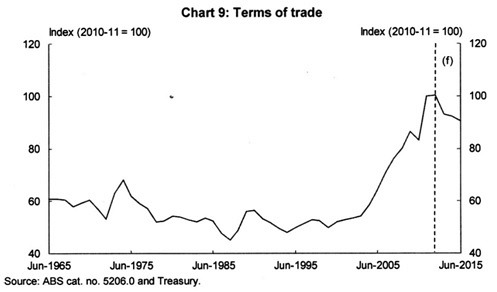 Hartcher readily attributes the long post-1992 growth period to Hawke-Keating (deregulatory) ‘reforms’. But we don’t know. As for the future, lacking strategic direction from government, some outcomes are more likely than others. Examining Hartcher’s unexamined glorious era provides lessons. linked to Asian resources demand – as per the graph. This abnormal external stimulus has now gone off the boil. Other dimensions of this ‘growth’ period are instructive. Sectoral change has involved a general shift into lower productivity sectors. Industry consultant co-author Phil Toner claims that the empirical results for the 2000s hold for the 1990s as well. of 3.277 million (adjusted for hours worked) in the period. added, 15% employment growth contribution). low value added, contributed in total 36% of employment growth. There have been related significant changes in the composition of the workforce. In addition, sectoral and structural dysfunctionalities abound. Uncritical financial deregulation since the early 1980s has bequeathed a relentless ‘financialisation’ of the economy. 5% (3%) in 1980-81 to 11% (7.5%) in 1991-92 to 20% (15%) in 2012-13. A financialisation that is grossly dysfunctional. business / farmer borrowers and on investors seeking safe returns. About these troublesome matters, Treasurer Joe Hockey neither knows nor cares. From his own mouth, the evidence indicts Joe Hockey as a charlatan. Hockey is a small man, inflated by hubris. But who is going to prick this bubble in the service of the public interest? 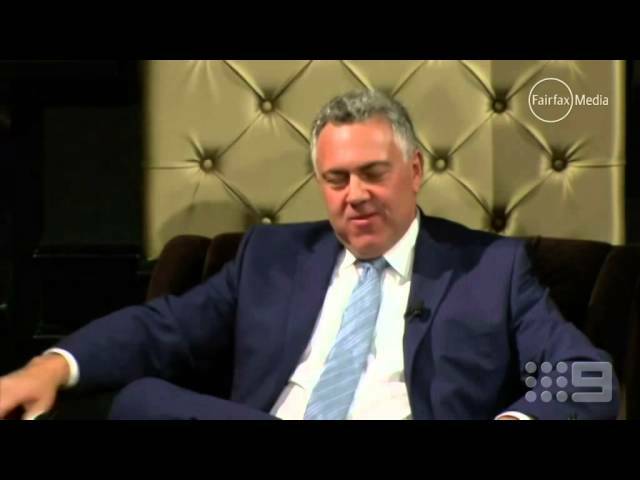 What's inside Joe Hockey's head?